Shock Hill Overlook in Breckenridge Colorado real estate are luxury duplex homes steps from the BreckConnect Gondola in the prestigious Shock Hill neighborhood. Minutes to town and the Breckenridge Ski Resort, these luxury Breckenridge homes for sale are bordered by the Cucumber Gulch Wildlife Preserve. Shock Hill Overlook offers thoughtful designer finishes paired with unmatched architecture. This community consists of 10 duplex homes, 20 residences total, each with 4 bedrooms, 4.5 bathrooms, and 2 living areas. Each of these Breckenridge homes offers multiple decks with outdoor fireplaces, Viking chef’s kitchens, and sweeping views of the Breckenridge Ski Resort and Ten Mile Range. Multiple residences are already under contract. Cucumber Gulch Wildlife Preserve consist of 77 acres of wetlands and provides vital habitat for multiple species including moose, elk, deer, beavers, and over 47 species of birds. The area also offers 23km of peaceful Nordic skiing and hiking trails, supported by the “Oh-Be-Joyful” Nordic ski lodge on the outskirts of the preserve. 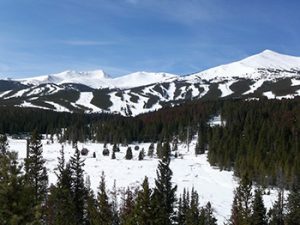 In addition to being within walking distance to the BreckConnect Gondola, taking you to the world-class skiing of Breckenridge Ski Resort, the Shock Hill Overlook neighborhood is also only minutes to the Town of Breckenridge. Outside of being one of the most popular ski resorts in North America, Breckenridge offers a real town with year-round residents, lively nightlife, shopping, restaurants and a rich historical culture. To discuss your Breckenridge CO Real Estate search, inquire about a specific property or for local market data contact Justin and Krystal Knott with LIV Sotheby’s International Realty at 970.333.9050 or knott@sothebysrealty.com.